Mother's Day is fast approaching, so I've put together this guide to my top picks for treating mum this year. Here are the best Mother's Day gifts for 2018, perfect for treating mum to special natural and organic goodies. Our mums do so much for us throughout our lives, caring for our every need and looking after the entire family. 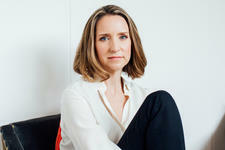 Say thank you to the mum in your life with natural, organic and eco-friendly Mother's Day gifts! Whether you want to give a special treat to your mum, grandmother, mother-in-law, "second mum" or the motherly figure in your life, I have got a gift to suit her tastes, with everything from beautiful natural skin care gift packs to gorgeous organic tea tins. With a selection of the best selling Rose and Cherry Blossom scents, the Dr Bronner's Pink Pack is both a beautiful and useful gift for mum, containing a luxurious soap bar and body balm as well as two of the famous castile liquid soaps with 18 uses for the body and home! This handy gift pack is presented in a reusable canvas zip bag, perfect for storing makeup or toiletries afterwards. 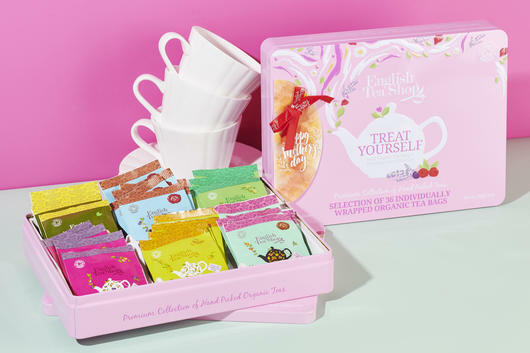 In a beautiful pink tray tin, the English Tea Shop - Mother's Day Organic Premium Collection Tin contains a selection of 36 tea bags from 6 different certified organic tea blends, including Harrington’s Premium Black Tea, Green Tea Tropical and Cranberry Vanilla Delight. Perfect for any mum who loves tea, this gorgeous tin can be reused by mum for biscuits or slice! 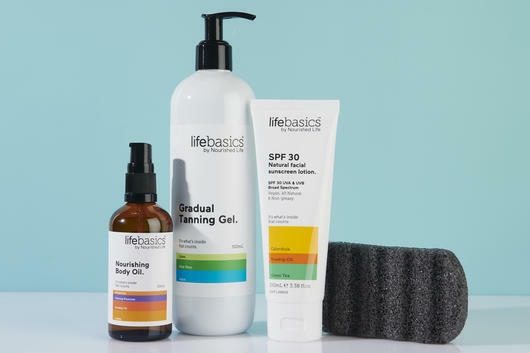 Perfect for mums who love natural skin care, the Life Basics Body Essentials Pack contains four of our bestselling body essentials, including a full size SPF 30 Sunscreen, Gradual Tanning Gel, Nourishing Body Oil and Konjac Body Sponge. Ideal for spoiling mum with natural goodies she can use every day, this skin care pack has already been discounted for a big saving on the individual items! 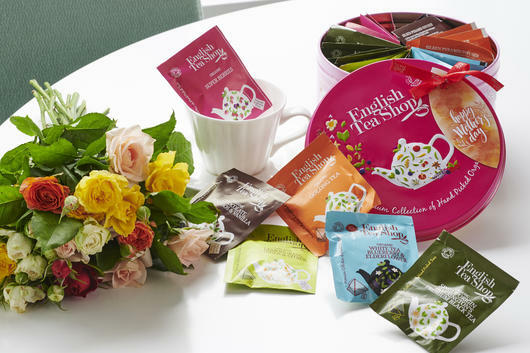 In a beautiful tin with a pretty design, the English Tea Shop - Treat Yourself Organic Premium Collection Tin makes another thoughtful gift for tea-loving mums, containing 36 tea bags from 6 different delicious and classic varieties, including Super Berries, Harrington’s Premium Black Tea, Green Tea Tropical and White Tea, Blueberry & Elderflower. Sustainably sourced and certified organic, these tea blends can introduce mum to a range of different flavours, and once the tin is empty, it can be repurposed! 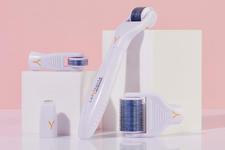 Show your mum you care with the KORA Mother's Day Gift Set - Gratitude. This beautiful skin care essentials pack contains a full size certified organic Hand Wash and Daily Hand Cream as well as a Nail Buffer Block so that mum can take care of her hands and nails with nourishing natural goodies. This thoughtful set is housed in a beautiful pale pink KORA Organics beauty bag, ideal for travel or makeup storage. A clever alternative to chocolate and roses, the Lavera & Pana Chocolate Mother's Day Gift Set - Pampering Rose] contains a full size Lavera Wild Rose Body Lotion and Wild Rose Hand Cream as well as a beautifully boxed block of delicious vegan and certified organic Pana Rose Chocolate, made from 60% Raw Cacao and pure Rose Essential Oil. Perfect for mums who love the scent of rose as well as chocolate, this pampering trio also comes in a gift box.